With a background as an officer within the Swedish air force and a civilian security career as CSO and CISO plus being Certified in Risk and Information Systems Control, Anna holds many of the keys to successful management of IT operations. 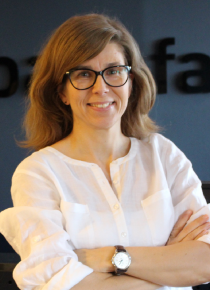 She now runs Basefarm´s private cloud services, a tight 365/24/7 operation of mission critical services using traditional datacenter platforms and hyper converged technology. Anna has built her IT operation management competence over + 10 years holding strategic management positions in both EVRY and Basefarm. She is committed to have a structured risk management flow through all value chains, a never-failing recipe for making the right decisions and creating strong and self-driven technical global teams. Favorite quote of all times: Admiral Ackbar: It´s a trap!